The Witcher 3: Wild Hunt gives players the choice of either going in with a clean slate, or answering a few questions about the part they played in the events of the previous game. The choices yield different results, but it’s not clear which is which from the outset. 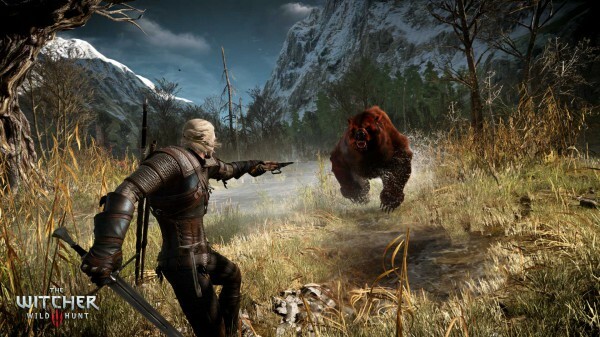 The Witcher 3: Wild Hunt is the first game in the series to come to a PlayStation platform. It’s also the series’ first new-gen instalment, which means importing saves from The Witcher 2 is impossible. The PC version has a save import function, so it’s not an issue there. To get around that on consoles, developer CD Projekt devised a scene in which a character asks Geralt a few questions about his choices in the previous game’s various plot points. Your choices matter, as they alter the world state and other small storylines in the game. There’s just one small problem: when you’re given the choice after starting a new game, the description doesn’t make it clear which of them shows you this scene and which doesn’t. To make it even more confusion, the scene in question doesn’t actually play until a good few hours into the game, so there’s no way to know if you made the choice you wanted. As part of our full The Witcher 3: Wild Hunt guide and walkthrough, we’re here to help. If you’re playing on either PlayStation 4 or Xbox One and want to make sure choices you’ve made in The Witcher 2 carry over to the new game, you will want to choose to simulate. This will cue the scene (which takes place after the prologue) and an NPC will ask you about your past. If you want to go in clean, or “as CD Projekt intended,” as some players believe, you will need to not select the simulate option. If you want to learn more about the world of Wild Hunt, or just looking for some help with a certain encounter, our Witcher 3 guide and walkthrough will get you sorted.